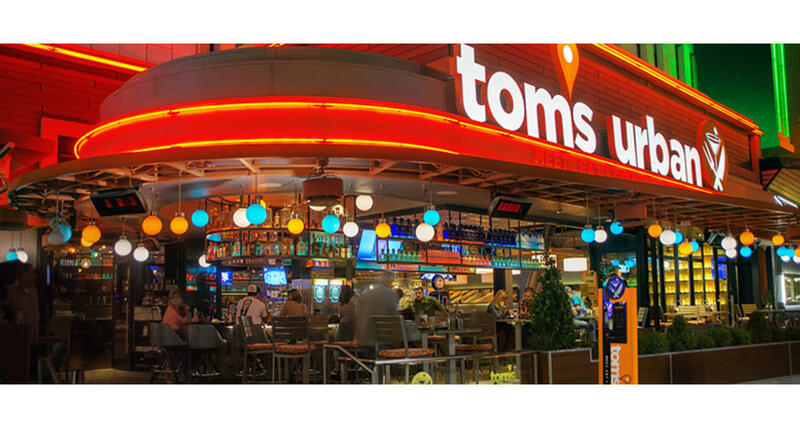 Tom's Urban is a great place to meet, eat, and drink right on the Las Vegas Strip. Featuring 40+ flat-screens, 37 unique taps, handcrafted cocktails, and food from around the world, the atmosphere brings liveliness to any occasion, any time. Nine open and semi-private areas to accommodate groups from 20-550.